In this video, Jamie Durie shows you how use contrasting colours and textures in your plants and containers to create visually stunning planters for your Niagara garden. In this video, Jamie Durie shows us how to take and old milk crate and candle holder and turn them into fantastic centerpieces in your Niagara garden. In this video, Jamie Durie provides some helpful tips on choosing the perfect plants and containers for your Niagara garden. In this video, Jamie Durie provides some helpful tips on creating beautiful window boxes to add colour to your Niagara garden. In this video, Jamie Durie shows you how to create simple and easy containers for your Niagara garden that provide color and texture all season long. 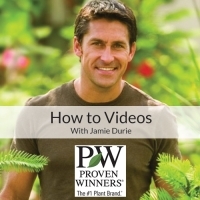 In this video, Jamie Durie provides tips for maximizing your Niagara garden by creating beautiful ornamental and edible containers with herbs, vegetables and flowers! In this video, Jamie Durie shows us how to infuse some color and dimension into empty spaces in your Niagara garden with unique hanging baskets set at varying heights. 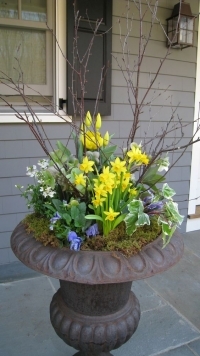 In this video, Jamie Durie shows us how to quickly take a hanging basket and convert it into a fabulous upright container in three minutes or less! In this video, Jamie Durie shows us how choosing the right container can turn an ordinary into an exotic specimen!